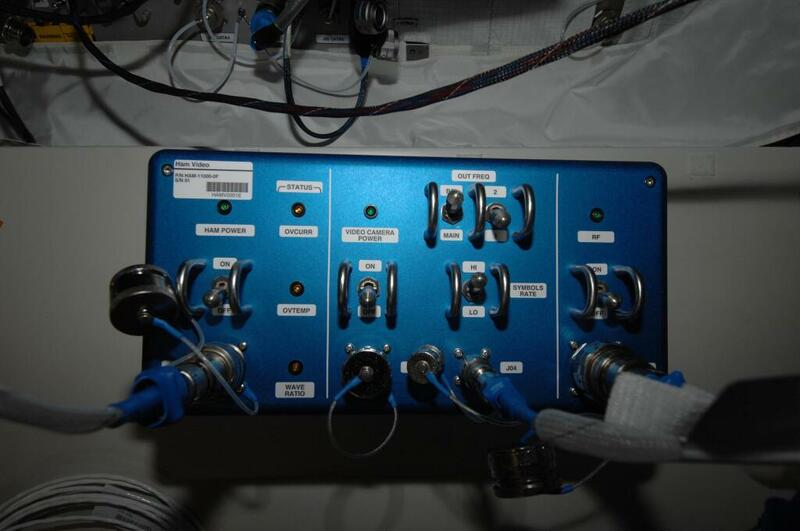 The final configuration of the International Space Station (ISS) HamVideo Digital TV system took place on Sunday, April 13 at 1823 UT. ISS commander Koichi Wakata KC5ZTA operated using the call sign OR4ISS. Ground stations G4KLB, F6DZP, IK1SLD and KI (Livorno) received the signals and streamed the video over the BATC server. The DATV signal was received for about 6 minutes. Next step should be a video enhanced ARISS school contact. We will keep you informed on any progress. The Ham Video transmitter has downlink frequencies of 2.369, 2.395, 2.422 and 2.437 GHz in a DVB-S type format (symbol rates of 1.3 Ms/s and 2.0 Ms/s). The two patch antennas, ARISS 41 and ARISS 43, are located on the nadir of the Columbus module. 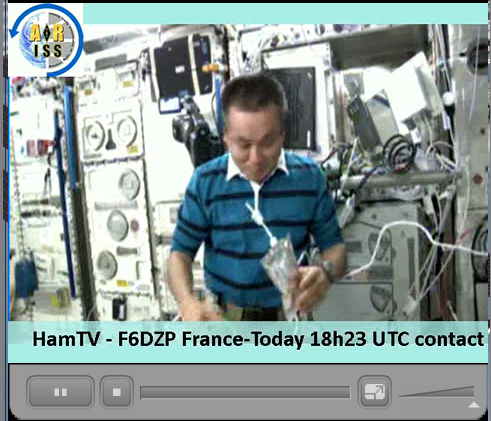 The Ham Video transmitter puts out approximately 10 W EIRP. The camera is a Canon XF-305.